Ayojide.com Get Smart Solutions: Use Branch To Get Fast, Affordable Loans On Android Phones. Use Branch To Get Fast, Affordable Loans On Android Phones. * Build your loan limit by making repayments on time. * Branch puts you in control of your finances. The Branch app lets you apply for credit on the go, and it works 24/7. No paperwork, collateral or office visits needed. * Use your money the way you want to. We let your business be your business. * Our fees are clear and easy to understand. We do not charge late fees or rollover fees. * The more you use Branch, the better it gets. As you pay back on time, our fees decrease, and you unlock larger loans with more flexible terms. * Branch is like a mentor that is motivated by seeing you succeed. We will never stop improving to better serve you. We are the lender that works for you, not against you. 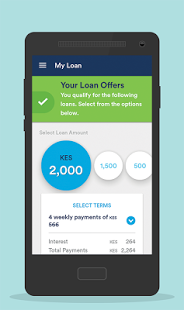 Branch eliminates the challenges of getting a loan by using the data on your phone including your M-Pesa SMS history to verify your identity and create a credit score. They encrypt the data you choose to share with them to protect your privacy. They take your privacy very seriously and promise to never share your information with third parties without your explicit permission. Straight2voicemail is a technology, which unlike other products, allows you to automatically leave a voice message in your customer’s voicemail inbox, this gives the appearance that you tried to call them personally.